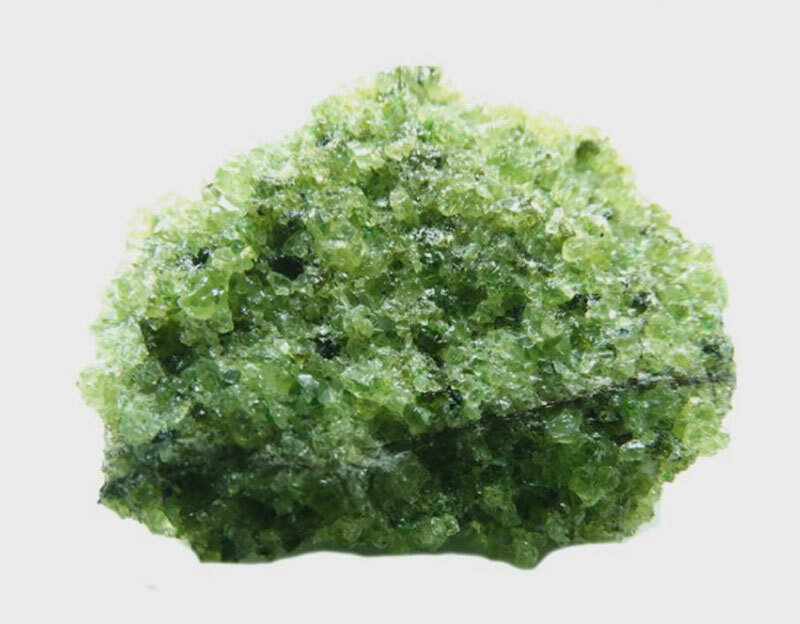 Peridot | Gemstones from A-Z at Rocks & Co.
Back Home Gemstone Information Peridot | Gemstones from A-Z at Rocks & Co. 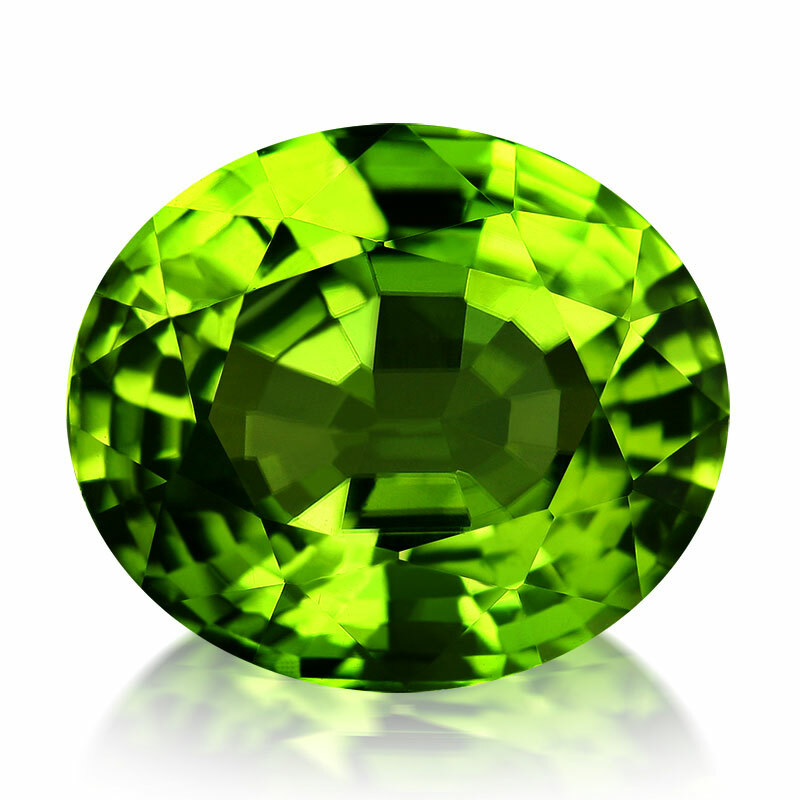 Believed to be derived from the Arabit 'faridat', simply meaning gem, Peridot could also come from the 13th century Middle English 'peridote', meaning bright spot or button. 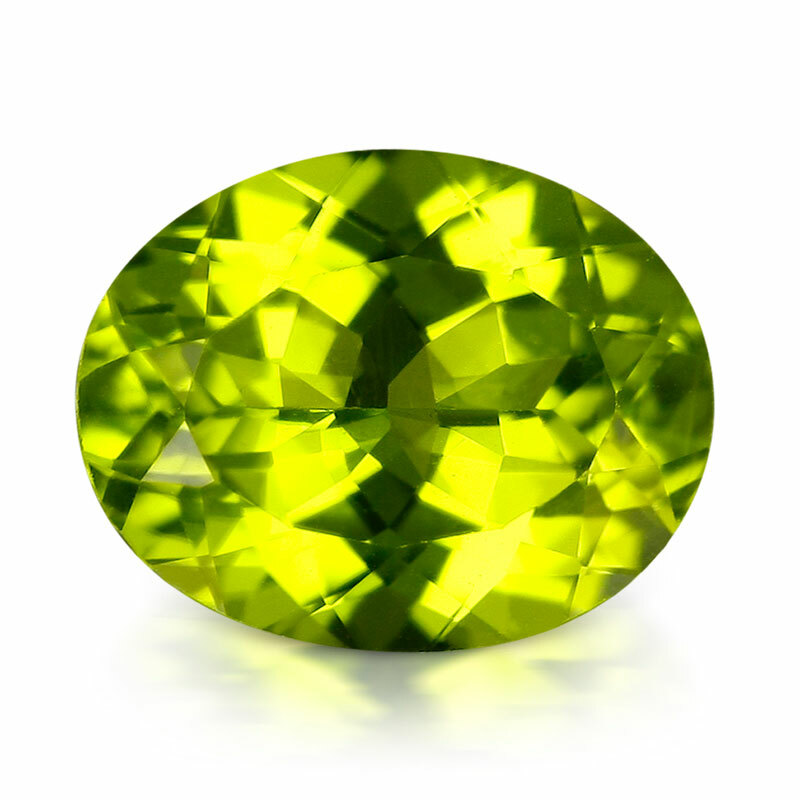 Peridot also has an older, less-known name, Chrysolite, from the Greek 'chryso', golden, and 'lithos', stone. Peridot is a gem with significant historical ties, adorning some of the world's most beautiful royal and sacred objects. The Egyptians started mining Peridot on the island around 1500 BC, and its golden greens quickly became a popular mainstay of Egyptian jewellery and ornaments. For example, a pendant belonging to Tutankhamen, the teenage pharaoh who met an untimely end, featured a Zabargad Peridot. Although she probably mistook them for something else, Peridot was a favourite gemstone of Cleopatra. For centuries, the only place to find Peridot was a small dreaded island of infamy in the Red Sea. Called Island of the Dead, Island of Serpents and Saint John's Island, today this desolate rocky outcrop located about 100 kilometres southeast of the Râs Banâs peninsula is known simply as 'Zabargad', Arabic for Peridot. Rich in gem lore, Peridot was believed to aid in friendship, free the mind of envious thoughts, make its wearer more eloquent, cure liver problems and even increase the potency of medicines. Most Peridot is predominantly Foresterite, named after English mineral collector and dealer, Adolarius Jacob Forster. Peridots are a volcanic crystal and, like Diamonds, are formed in the inferno of the earth's mantle. Green is the only colour Peridot can ever be, it is a ‘self coloured’ gemstone containing a high iron content that is a vital part of its composition. Peridot's best bright greens generally contain around 12-15 percent iron, but trace amounts of chromium or nickel can make its colour richer. Peridot colours vary between greenish yellow, yellow green, yellowish green, green and olive green. The signature 'pure' rich grass greens are the most in demand as are examples that are slightly yellowish. While it can be eye-clean (no visible inclusions when the gem is examined 15 cm from the naked eye) when small, as a Type II gemstone, Peridot typically has eye-visible inclusions, especially in larger sizes. Peridot looks good in all lighting, especially after dark, not only due to its yellowish green colour but also because of how Peridot splits and bends light. Peridot is strongly doubly refractive, which means light splits into two rays as it passes through the gem. Peridot is today sourced from many countries including Australia, Brazil, the USA and Zambia. Approximately 90 percent of the world's reserves were found in the San Carlos Apache Reservation in Arizona. This is the worlds largest Peridot deposit. Marketed as 'Palladot', Peridot is found in meteorites called Pallasites and with its discovery on Mars in 2003, Peridot became the first gem to be discovered on another planet.